As part of their continuing reissue campaign, Domino has announced details of the release of Buzzcocks Singles Going Steady, which is out on Friday June 14th, 2019. It follows the 40th anniversary re-issues of Another Music In A Different Kitchen and Love Bites in January of this year, and the re-release of the band’s debut EP, Spiral Scratch, and a 1976 collection of demos, Time’s Up, in March 2018. 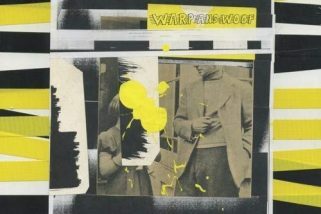 As previously, the album has been restored and re-mastered from the original ¼” tapes for the first time and come packaged with lavish booklets containing unseen images and extensive liner notes by famed cultural commentators Jon Savage (A Different Kind Of Tension) and Clinton Heylin (Singles Going Steady). 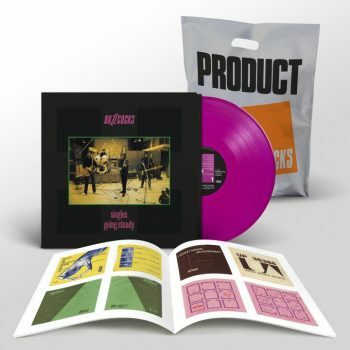 Singles Going Steady comes on purple vinyl; includes a newly curated booklet featuring an essay from punk authority Clinton Heylin & previously unseen images; packaged in its original Malcolm Garrett designed sleeve and dispatched with a ltd edition ‘Product’ carrier bag. You can pick up a copy HERE.